Yes, this study suggests that my previous statement that 3g of creatine per day are probably enough.... still direct comparisons of diff. doses are warranted. You may remember that I wrote about the uselessness and possible negative effects of creatine loading on your body composition in October 2015. In the respective study, the scientists did yet not measure if there wasn't still a benefit in terms of increased skeletal muscle creatine and / or whether the creatine was excreted in the urine as creatine monohydrate (OK) or creatinine (not so good). In a new study from the Baylor University, Andre, et al. did just that: They tested the effects of five weeks of resistance training in conjunction with a typical relative Cr dosing protocol followed by four weeks of resistance training after ceasing Cr supplementation on: 1) body composition and muscle strength, 2) whole-body Cr metabolism. Cr monohydrate [CR (AST Sports Science; Golden, CO, USA)]. 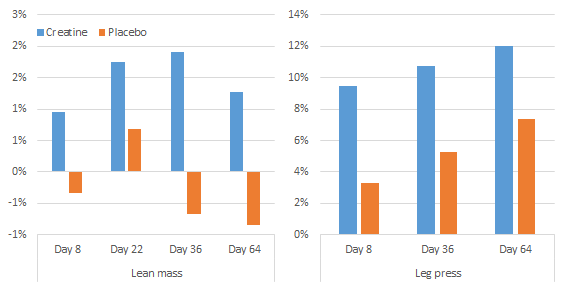 After baseline testing procedures and lean body mass determination via DEXA, participants in the CR and PL group ingested their respective supplement at a relative daily dose of 0.3 g/kg lean body mass (17-20 g/day) for one week in the loading phase and immediately following the loading phase, a relative daily dose of 0.075 g/kg lean body mass (5-7 g/day), during the four-week maintenance phase. All groups ceased supplementation on Day 36 following the four-week maintenance phase, which was then followed by a four-week washout phase without supplementation. Table 1: Overview of the training program the subjects followed (Andre. 2016). "Participants performed four one-repetition maximum (1-RM) tests on the angled leg press sled (Nebula, Columbus, OH, USA) at Day 0, 8, 36, 64. Participants warmed-up by completing two sets of 8-10 repetitions at approximately 50% of the estimated 1-RM, with two minutes rest in between all sets. Participants completed three to five repetitions at approximately 75% of the estimated 1-RM. The weight was increased conservatively, and the participant attempted to lift the weight for one repetition. If successful, the participant rested for two minutes before attempting the next weight increment. This was continued until the participant failed to complete the lift (Schwarz. 2015). For the 70% 1-RM evaluation during the familiarization session, participants were allowed to rest five minutes following the determination of their 1-RM" (Andre. 2016). 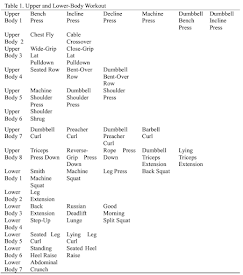 Participants followed a periodized 4-day/week resistance-training program split into two upper-body and two lower body workouts/week, for nine weeks (Table 1). As the authors further point out, the subjects performed "three sets of 10 repetitions with as much weight as they could lift per set (~70 – 80% of 1RM). If they could lift fewer than 10 repetitions, they were instructed to reduce the weight, and if they could lift more than 10 repetitions at a given weight, they were instructed to increase the weight" (Andre. 2016). The subjects were also instructed to rest "no longer than three minutes between exercises and no longer than two minutes between sets" (Andre. 2016); verbal confirmation of how to properly perform each exercise was given only during the familiarization session, though - still, resistance training compliance for CR and PL were 95.23 ±9.36 % and 93.74 ±8.82 %. While selected rel. differences of the former, auxiliary findings are illustrated in Figure 1, Figure 2 is about selected aspects of the main research interest of Andre: the increases in muscle creatine and serum creatine. What I did not plot was the amount of creatine and creatinine the subjects pissed out. Figure 2: Levels of muscle and serum creatine in the subjects over the course of the study (Andre. 2016). 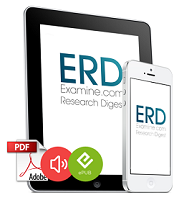 "[t]hese findings are consistent with previous studies showing increases in urinary Cr but not in urinary Crn (Powers et al., 2003; Syrotuik and Bell, 2004). This suggests the supplementation dose of Cr was higher than the functional capacity to be metabolized, and was wasted via urinary excretion. Despite the supplementation dose based on lean mass measures to attempt to reduce this occurrence, considerable amounts of Cr were still essentially wasted" (Andre. 2016). The increases in serum Cr concentrations, which were significant after three and seven days of Cr supplementation, and at the end of the maintenance phase, are likewise no and the lack of increase of serum creatinine good news. As the scientists point out, the increases in serum and urinary creatine in combination with the intramuscular total Cr data allow us to postulate that "the exogenous Cr supplementation apparently saturated intramuscular Cr stores given the high levels of serum and urinary Cr" (Andre. 2016). If you haven't read it, yet I suggest you read up on my previous article about a study in Elite Footballers, where high doses of creatine actually resulted in inferior effects on body composition than lower doses. Quite an interesting result in view of the "more helps more"-mentality that's prevalent in the fitness community. So, what's the overall verdict? Well, that should be obvious: "the overall Cr supplementation dose could be lowered given the high levels of urinary Cr" (Andre. 2016). Unfortunately, an investigation at lower relative supplementation doses of Cr in resistance-trained males, as the scientists demand it, has still to be conducted to "further clarify the dose response to elicit elevated intramuscular Cr stores with minimal excretion of Cr" (Andre. 2016). Ah... and before I forget it: The study also observed that only one of the 11 subjects in the creatine group would be classified as nonresponder (Greenhaff et al., 1994). That individual observed an increase of only 18 mmol/kg dry weight - that's only 60% of the average 30 mmol/kg increase, and would qualify the subjects as quasi-, not non-responder, a result that could be explained by differences in the fiber comp. of his muscle (Lemon. 2002) | Comment! Andre, Thomas L., et al. "Effects of Five Weeks of Resistance Training and Relatively-Dosed Creatine Monohydrate Supplementation on Body Composition and Muscle Strength, and Whole-Body Creatine Metabolism in Resistance-Trained Males." International Journal of Kinesiology and Sports Science 4.2 (2016): 27-35. Lemon, Peter WR. 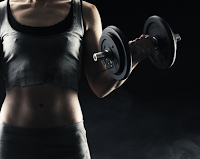 "Dietary creatine supplementation and exercise performance: why inconsistent results?." Canadian journal of applied physiology 27.6 (2002): 663-680. Powers, Michael E., et al. "Creatine supplementation increases total body water without altering fluid distribution." Journal of athletic training 38.1 (2003): 44. Schwarz, Neil A., et al. "Acute Myosin Heavy Chain Isoform mRNA Expression in Response to Two Resistance Exercise Intensities With Equal Volume Load in Resistance-Trained Men." The Journal of Strength & Conditioning Research 29.8 (2015): 2326-2332. Syrotuik, Daniel G., and Gordon J. Bell. "Acute Creatine Monohydrate Supplementation: Adescriptive Physiological Profile of Responders Vs. Nonresponders." 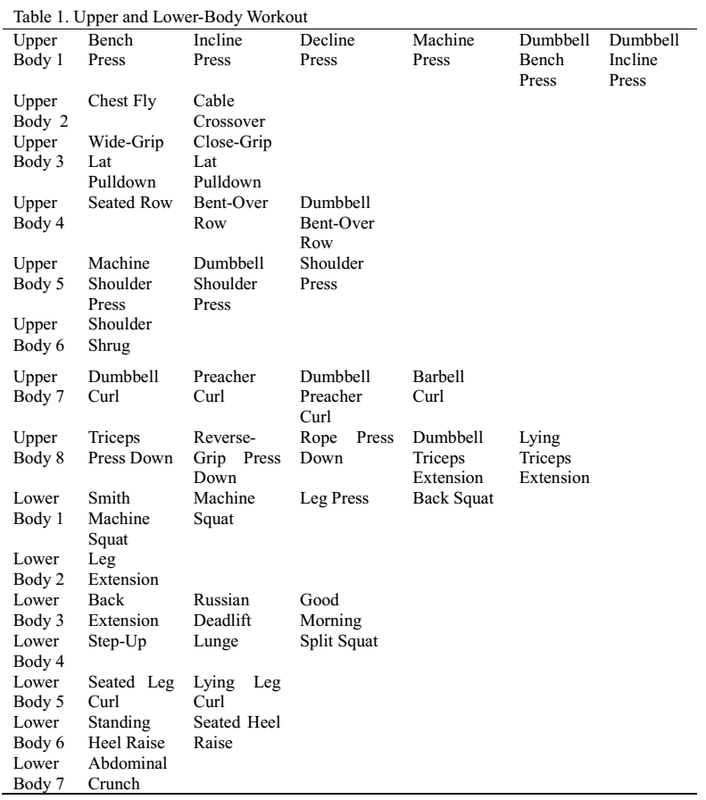 The Journal of Strength & Conditioning Research 18.3 (2004): 610-617.